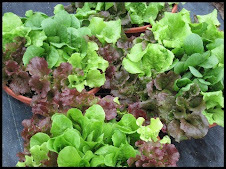 'R Garden Veggies: What happend to Spring this week? What happend to Spring this week? Wow, can you believe this weather. 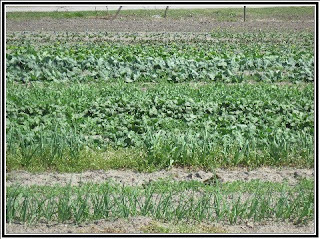 These hot days are not good for those spring veggies they want to send out flower shoots. Nooooooo! I want lettuce!! 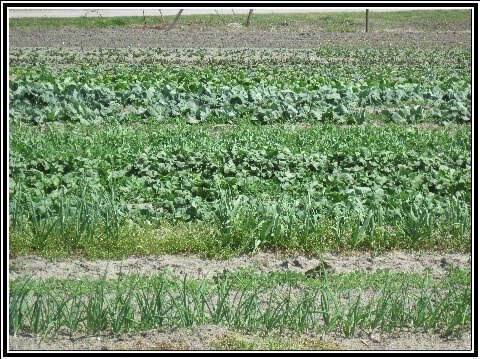 Any way I 've got a picture of the garden from today, it's really growing fast. 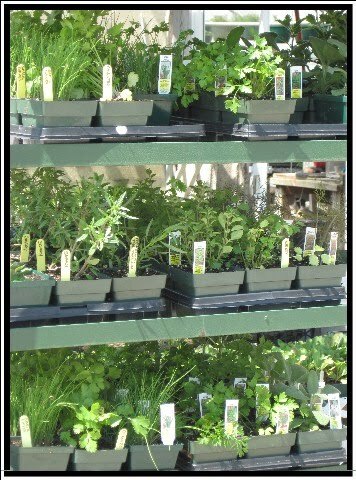 We are working hard to have all our plants, herbs & as many vegetables as we can ready for SpringFest at the New Bern Farmers Market this weekend. 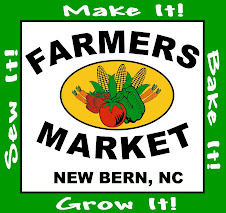 The Onslow Farmers Market has its opening day Sat. also. 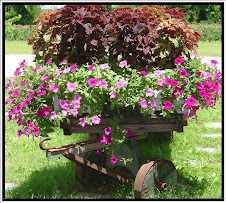 My husband Terry will be there with all 'R Garden plants and vegetables. So if you are out that way go see him! Willis will be at the Oriental Farmers Market Sat. with more 'R Garden Stuff. This is a full week getting ready for all these markets. Herbs gathered for the farmers markets.